Book signing: 11 a.m. to 1 p.m., Readmore’s Hallmark shop, 2100 Harding Highway, Lima. With “Fort Amanda - The Schillinger Journal” author David Johnson. 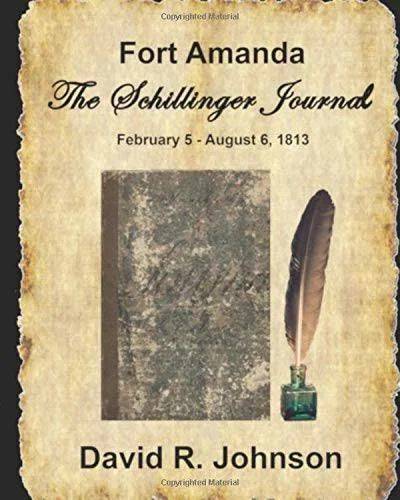 LIMA — There will be a book signing for “Fort Amanda - The Schillinger Journal” with author David Johnson from 11 a.m. to 1 p.m. Saturday, April 20, at Readmore’s Hallmark shop, 2100 Harding Highway, Lima. The book contains a transcription of the actual journal kept by an ensign at Forst Amanda in 1813, as well as photographs, maps and thoughts. Copies of Johnson’s first book, “Fort Amanda - A Historical Redress” will be available as well.